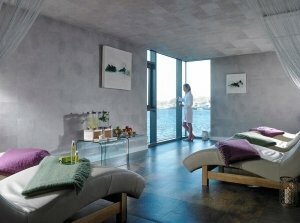 Enjoy a blissful nights sleep in a deluxe room, relax with a 50 minute signature VOYA treatment in Chill Spa. Sink into the outdoor hot tub, and don't sweat the small stuff in the outdoor barrel sauna. Wake up to a cooked to order breakfast and check out chilled out.